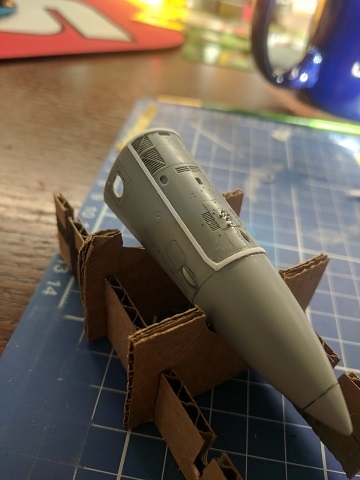 Started a small production line of CF188 aircraft. 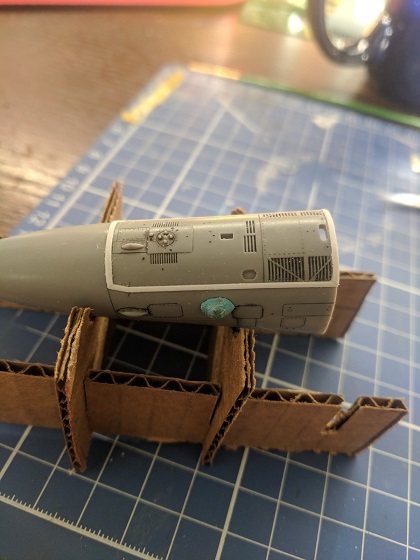 Will be a slow build but I am willing to show some pics along the way of the progress. 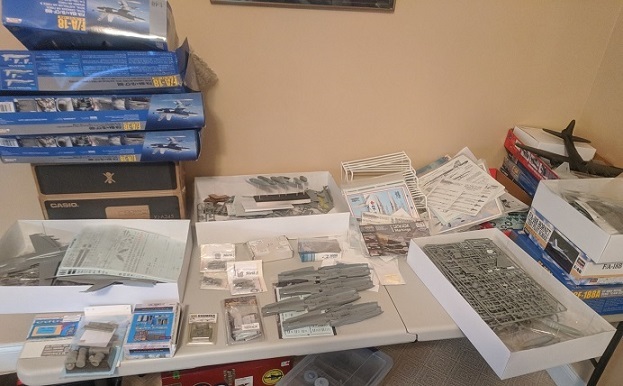 Resin - Neomega (the cockpit sets is not that great), Aries, Attack Sqn, Wolfpack, Northstar, Legend (seats too small), My own Resin Cockpit tub-Fat Pylons-Vert Stabs-Ext tanks (on hold). 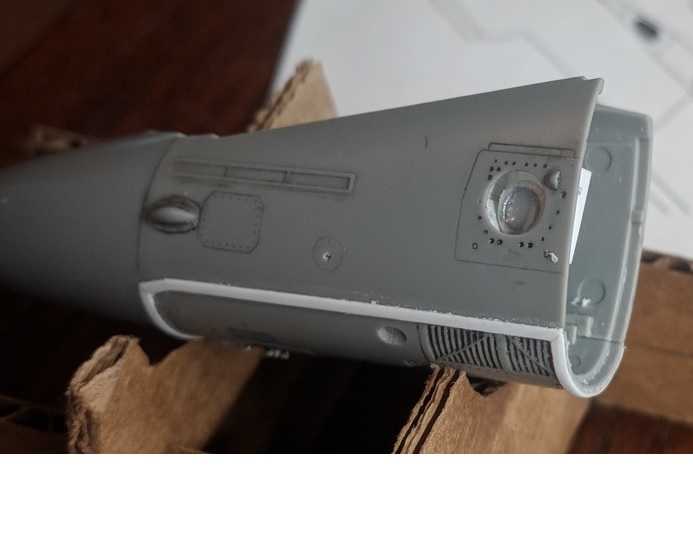 Misc - Mr Hobby masking liquid, Walthers Solvaset, Mr Mark Softener, Microscale Decal Set+Solution+Krystal Klear+Microflat+Microgloss, Vallejo Plastic putty, Squadron Green putty, 3M red filler. 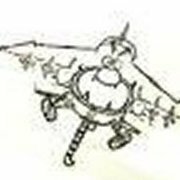 Tools - Waldron Punch and Die set, .1"+ .2"+.3" + .4" drill bits, Side cutters, tweezers, #10 + #15 scalpel blades, Various clamps, home made jigs (paper), various pens, swear words, luck and spousal support. So here goes; it's not a fast ride but your welcome to follow. Hopefully you'll pick up a few things and a I'll learn as well from your feedback. 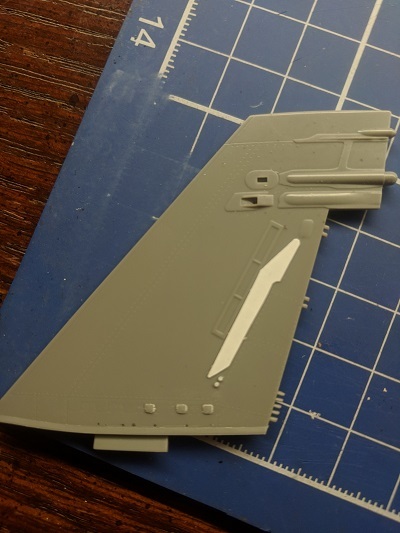 I added .060" to lengthen the kit pylons. As you can see compared to the Wolfpack version. 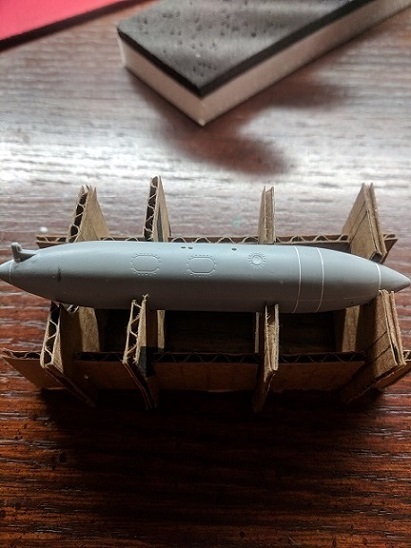 I compared only after I measured against photos of the external tank on the actual aircraft. Worked out pretty close I'd say. Plus it just looks better. Here I added the Mod to Door 1. 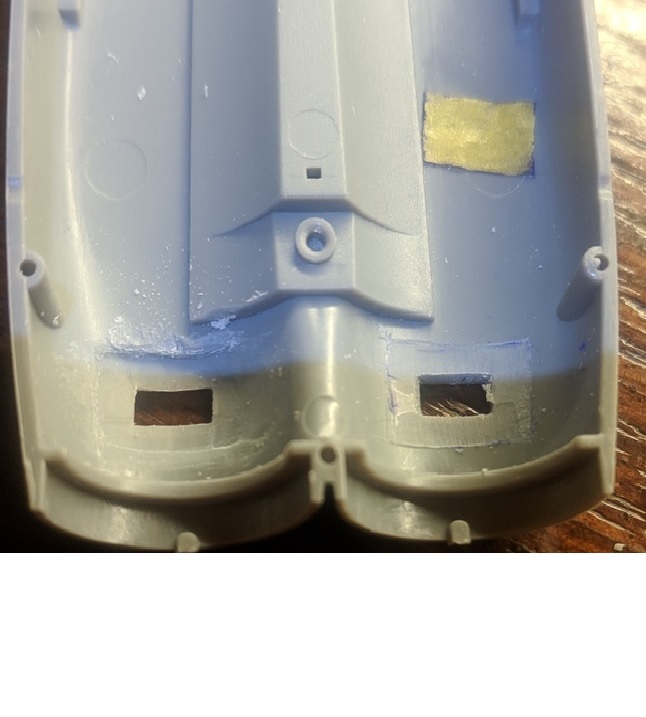 Here I drilled out the ID light holes and also if you noticed on the previous pics, all the drain holes have also been drilled out (Nose area - .1", .2", .3" drill bits). 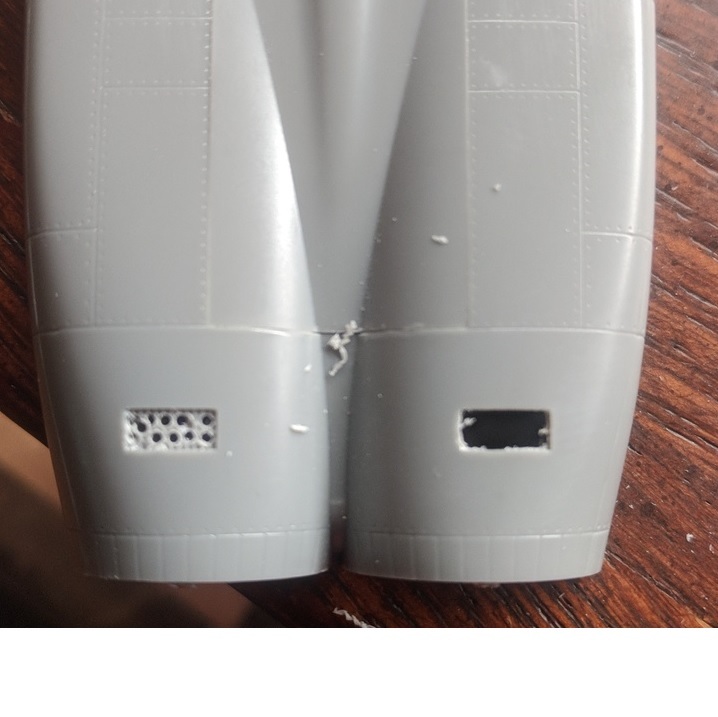 I also sanded down the Formation lights on both sided so they don't stand out as much. on the real aircraft they are almost flush. Add the Mod to the Vert stab and drilled out the drain holes at the base. I also "scrapped" the bottom portion of the base. It's not just a square block at the bottom, so I angled the base to reflect the actual aircraft. 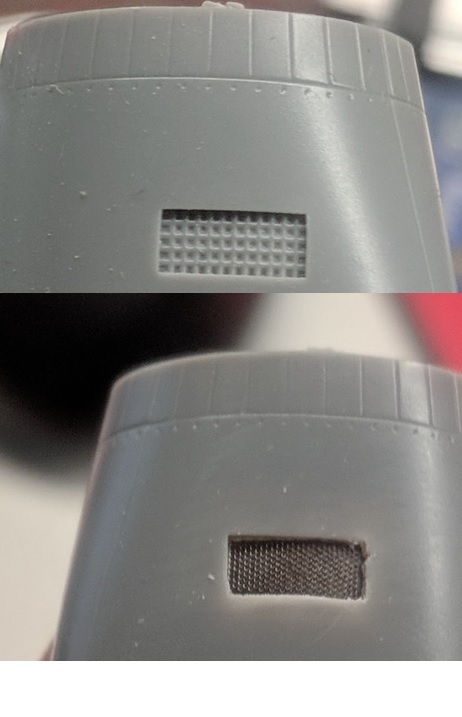 Note the two white dots...part of the strengthener mod. Trying something new, to me. I placed a layer of Tamiya tape and edged it with thin super glue. Hopefully this works if not, I'll try something else. Basically it is to represent the extra layers of carbon fibre on the Horz Stab. I will also be drilling out the drain holes at the tips of the Stabs, some have 1 others can have two just depending on the version of the Stabs. 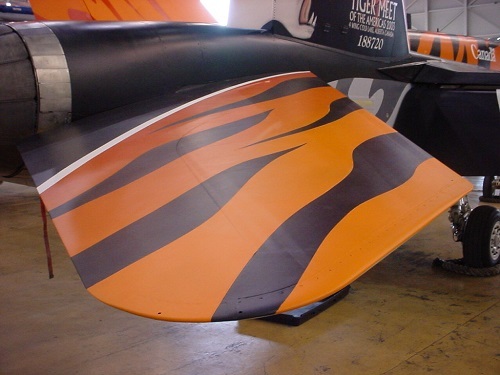 There are also no recessed lines on this airfoil. Next is the Flaps with the Mods. 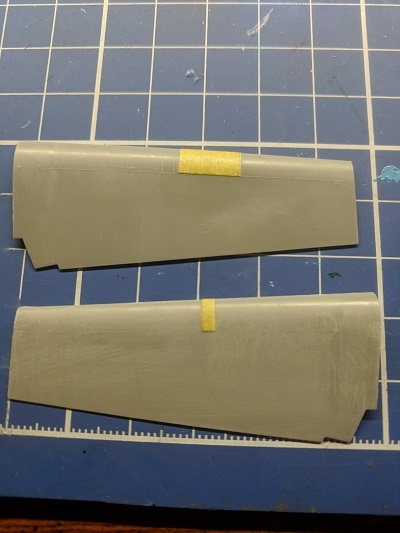 Note, there are no recessed lines on this airfoil as well; both sides. Here I scratch built an ID light. not the greatest but, I'm happy with it. Better than a decal. Will folloe your build for sure. Hoooorneeets Great start on a very nice project. Interesting, I've never seen any strengthening plate there, but I've only seen pictures of that area. 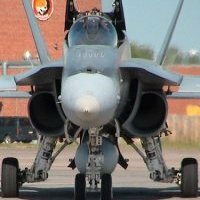 Is it something specific to CF-18? Most model manufacturers place a panel line there. Here is a shot of the layered carbon on the Horz Stab. 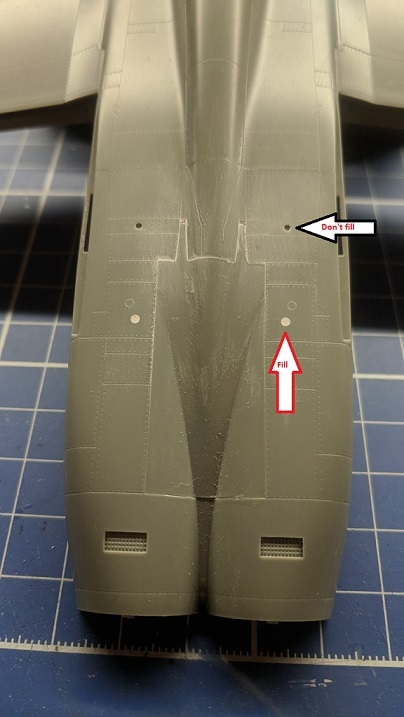 Note the drain hole at the tip trailing edge. Nice mod. I am lucky I have a couple of fat pylons in resin put out by The Major. I think I will have to check the length though. Thanks for that info. Glad I can help. I compared mine to the Wolfpack version, like I have said before, I'll never buy their product again (missing parts never had any support). But they are very close. Just have to make the rear ground point holes and the form the two panels on the FAT pylons. This took me a couple hours to make today, between clean my car, the wife's truck, picking ticks outta my dogs, taking the wife for a lunch and ice cream! Filling the bore scope access panels, leave the B Sump open. I had some fit issues with the speed brake. 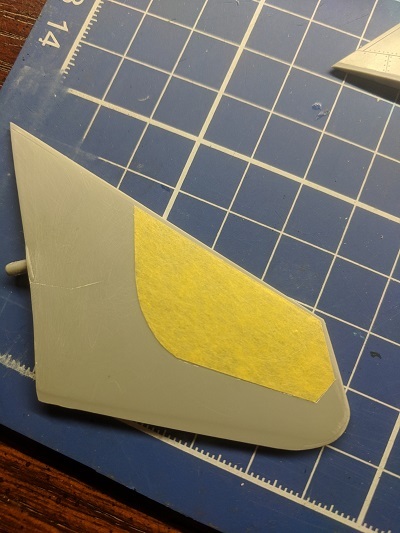 The masking tape provides a template of the size I need to scrap away plastic. Replacing the Aft Engine bay Vent behind the speed brakes. 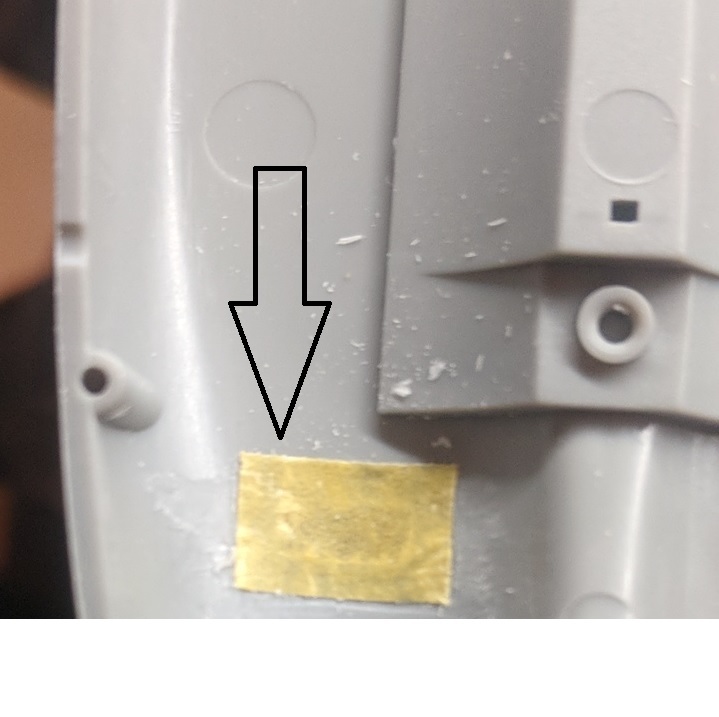 Drilled out the Vents then used a sharp blade to remove the excess plastic. The thinning down process is very delicate as I am trying to get the plastic to be as thin as possible so the screen has the right depth. The original was okay but can be better with the AMUR photoetch. Comparison shots, I have a little cleaning up to do here. But I really like the difference. 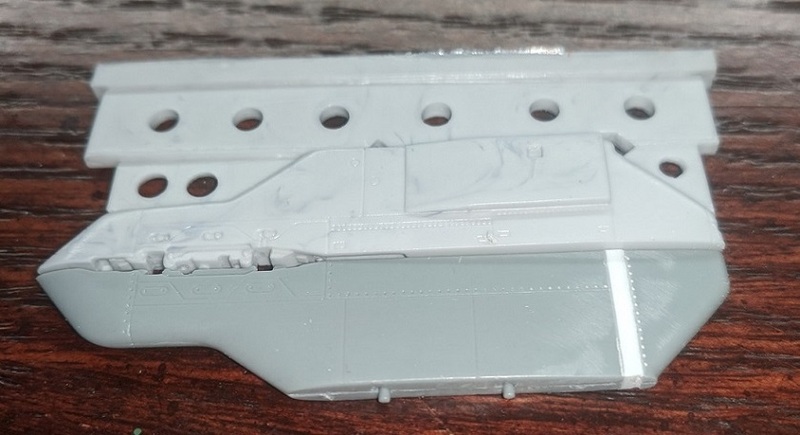 The plastic is so thin, you'll need to be very careful here. Some very nice work You're doing here. Can't wait for more! BTW, what schemes are You going for?